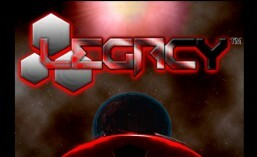 LEGACY video game blog | Follow along as I detail the makings of LEGACY the video game! So sorry I missed posting for the month of March. It was one of those months that was full of unexpected challenges (both professional and personal) and I just lost track of time! To get back on track, let me get you guys up to speed on what I am currently working on. While the rest of the team is working on creating more content for FUTURETECH, I have started learning and coding for the next iteration of the game…which will be implementing some multiplayer PvP functionality. It’s been a challenge as well, but I am finally getting a handle on using UE4 version 4.16 and it listen server capabilities. The full nature of the gameplay that will involve the multiplayer aspect I am still keeping quiet for now. If I can get it to work the way I want, I can honestly say it’s going to be something pretty unique and special! Anyways, that’s what we are working on for now. I promise to try and keep these posts on a regular monthly basis like I have been doing for almost 6 years now. See you in May! The past two weeks I have been focusing on coding…specifically trying to fix the notorious “plasma beam” bug (the one where the beam won’t shut off). I’m happy to report that I have finally figured out the fix! Unfortunately for those of you who downloaded the pre-alpha demo, it was fixed in a later version that will not be uploaded to Steam. If you do end up getting the newer version of the game when it releases though, rest assured that you will no longer be haunted by the sound of the plasma beam running continuously in your dreams. Now on to other bugs. I hope you all had a wonderful holiday season and a Happy New Years! Well, 2018 was a crazy roller coaster year for us. We started the year strong with a showing of our demo at PAX East in Boston back in April. We got a lot of great support and feedback from nearly 150 playtesters who came by our booth. It was definitely the high point of last year in my humble opinion. Then, in the fall, we launched our first crowdfunding campaign attempt. Even though our Kickstarter was unsuccessful, we did manage to get a 3rd of the total pledged…with almost no brand marketing to speak of. It was a bit of a downer when it failed, but it definitely serves as a benchmark and learning experience that we can grow from. For 2019, we have the ever-present goal of completing FUTURETECH SPACE COMBAT ACADEMY and launching it on Steam. For those who had pledged $10 or more on our Kickstarter, I decided to give them all a free copy of the PAX demo (which is currently out on Steam as a private beta). Another goal for the new year is to grow our staff. We have several open internships that are posted out on Internships.com. Hopefully with the added help, we can make up for some lost time. Anyways, that’s where we are at currently. I will be posting more updates on (I hope) a more regular basis if our Social Media and Marketing internship candidates pan out well. Ok…back to work! Thanks again for following along on our journey of creation and development! In the spirit of the holidays, and to say “thank you” for their willingness to support our project, I am going to be giving everyone who pledged at the “EXO STAFF SERGEANT” pledge level (or above) free access to the pre-alpha demo of FUTURETECH SPACE COMBAT ACADEMY. This version of the game is the one we premiered on the show floor at PAX EAST this past April. While it is only 4 missions long, incomplete in some areas, and a bit “buggy” at times, I still hope they enjoy it! Just wanted to give you a quick update. During the months of September and October our team was super busy from all angles. We had the Kickstarter going on, as well as a lot of level building and vehicle development. I cannot stress enough how much my colleagues on this project pour so much energy and love into what we are building together. That said, I also understand it’s also a really hard juggling act for some of them due to work, school, and life in general. Because of all those factors I decided that the entire team needed a break to recharge their batteries, so they are getting the entire month of November off! I cannot think of any other group of people who deserve it more. I am still going to be plugging away at some aspects of the project myself, but at a limited pace. I apologize for the slowdown in social media posts during this time. I will try to get some updates on our Facebook and Twitter when I get them done. After the break, we will be tackling a lot of work again in the month of December to close out the year strong! Thanks again for following along with us on our journey of creation and inspiration! October update. First person cam! So recently I have been working on a new feature for the game. Due to popular demand I will be adding a 1st person view from the cockpit of each of the players ships. So far I’ve added it to the Manta and have been play testing it in a few of the levels. It really is pretty cool! Getting the camera to act just right has been a challenge, but it’s coming along pretty well. I should have some video footage of the tests up on YouTube soon. Anyways, that’s pretty much all I have to report for now. I hope you are all enjoying the Fall season btw…it’s my favorite time of year!